Allnet is the official authorized distributors of Radxa, packages are shipped from Germany or China. 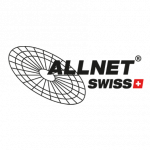 ALLNET has a successful track record of introducing new products and vendors into various market segments and regions. A team of marketing, hardware and software specialists with the necessary skillsets combined with the excitement for new technology are the foundation of the successful collaboration with resellers, makers or developers and are our strong backup for your project implementation. The range of services covers pre- and post-sales support, trainings, marketing, logistics and a deep understanding and excitement of the technology we are promoting and selling. This does not only count for the relationship to our clients it as well is the major pillar of our relationship to the vendors we are promoting. A 27 years long and successful history in distribution, covering many countries worldwide combined with an excellent understanding of the local markets and a passion for what we do makes us the perfect partner. If you are a developer, reseller, project manager – ALLNET provides the services which are the key to your business success!